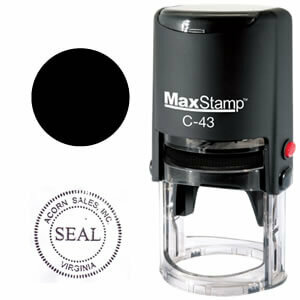 Home » Blog » How To Find Accurate Notary Stamp Image? How To Find Accurate Notary Stamp Image? It is important to read your state's notary handbook to understand the duties and basics of a notary public position. Every state has its own set of guidelines when it comes to being commissioned as a notary, the term length and the necessary tools that are required. You cannot just switch from one state to the next and keep the same stamps and seals. In some special cases there are special requirements just to notarize in a different county! When looking for any product, you will always want to go to the best in the business which is usually an online vendor that already has the state-specific information you need to create an accurate stamp for yourself. Most of these companies have already done the research and regularly update their records to ensure that they are current on the applicable design and image wording. It is still important for you to know all of the laws and specifications for your state. Some states are less complex in their requirements and practices than others, but one standard that does not change is the necessity for documenting every transaction in a record book. A notary is expected to maintain their record book during their tenure so that it can easily be turned in to the governing authority for archive purposes. Texas is a big state that takes pride in its history. One of Texas' mandatory requirements is to have a five-pointed star in the middle of their notary seals. The star should be surrounded by the notary’s name, “Notary Public, State of Texas” and the expiration date of the commission. 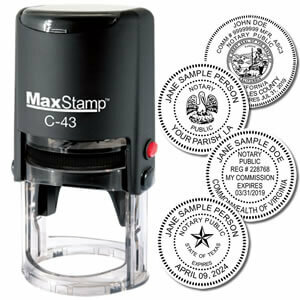 Texas allows the use of either a rubber stamp or seal embosser but the image must be inked so that it can be clearly visible on any copies made. There must also be a serrated or milled border with the circular seal no larger than 2” and the rectangular seal no bigger than 1” by 2-1/2”. 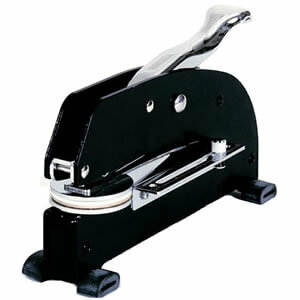 You can easily find all of your notary supplies and accessories online, but you need to ensure that you partner with a reliable vendor that works with quality materials and up-to-date state specified images that are clear with every impression. A notary is a professional position that is important to the community and should always be treated with respect. All states expect their notaries to make sure that their tools are in accordance to all state board appointed rules and regulations.